As my daughters are now grown, my enthusiasm for holiday decorating has dissipated, to say the least. 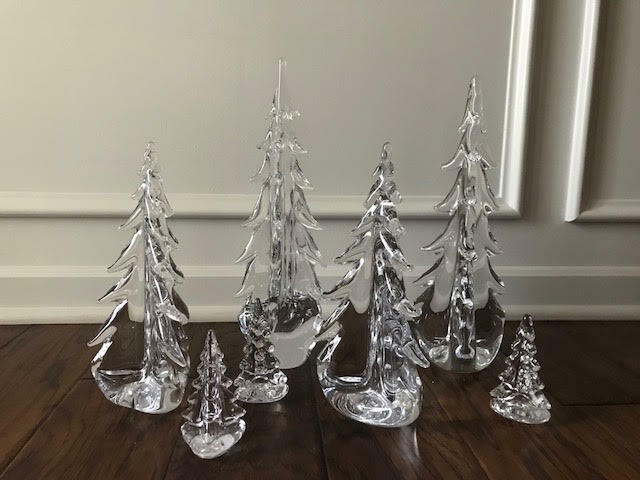 As the ubiquitous Santas and reindeer are tucked away, my favorite holiday decorations are Simon Pearce hand blown glass evergreens. I started my collection several years ago with one tree that has since multiplied into a small forest. The light-reflecting trees are simple and elegant. They look great on a mantel, dining room table or just about anywhere you want a sparkling evergreen silhouette. I like to arrange them on my dining room table among pine boughs and votive candles. CHARITABLE PROJECTS NEEDS YOUR HELP!